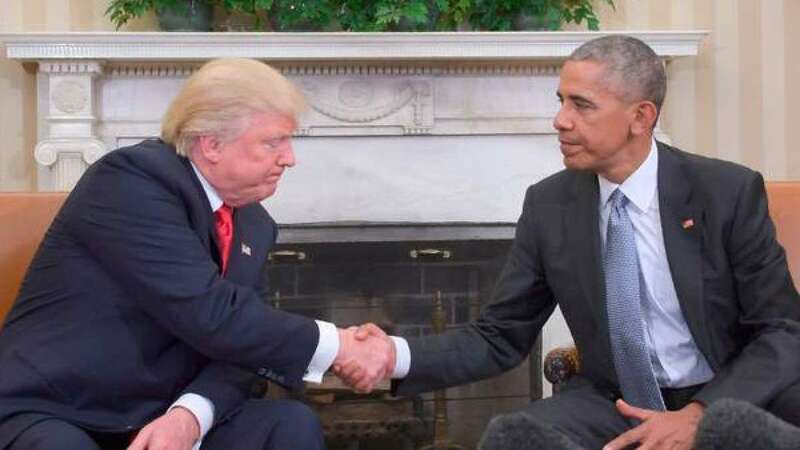 New Delhi : In a bid to go ahead with a peaceful transition of political power, United States President Barack Obama met newly elected President Donald Trump at White House on Thursday. Obama during his meeting with Donald Trump told him that he wanted him to win and will do all possible things to ensure a smooth transition. In reply, Donald Trump said Obama is a 'good man' and he would be seeking his advice in the future. Obama informed Trump that "If you succeed, the country succeeds," as the two men sat in high-backed chairs in front of the fireplace in the Oval Office. Thanking Obama for the meeting which originally been scheduled for 10 minutes and went on for 90, Trump said, "Mr. President, it was a great honor being with you and I look forward to being with you many, many more times," and adding that he and Obama had spoken about some wonderful and difficult things and "some high-flying assets." After concluding the meeting with Mr. President, Trump also met Senate Majority Leader Mitch McConnell while in the town.